Through their support of Texas Engineering student programs and initiatives, our corporate partners help us enhance our educational services and resources, foster a more diverse student population through scholarships and outreach efforts and prepare the best and brightest young engineers to change the world. These programs enrich student life beyond the walls of the classroom, strengthening community, building relationships and creating experiences that students will carry with them throughout their lives. With corporate and donor support, the Cockrell School is able to provide scholarships and fellowships to undergraduate and graduate students, offering crucial funding that can change the course of a student's academic path. These scholarships and fellowships increase the quality and retention of students enrolled in the school and allow companies to make a difference in the lives and careers of engineering students. Companies can support specific student organizations, community-building activities and other events that enhance the extracurricular experiences of Texas Engineering students. Donations of time and mentorship help provide students with insight into real-world scenarios and problem-solving to further develop their leadership, analytical thinking and interpersonal communication skills. 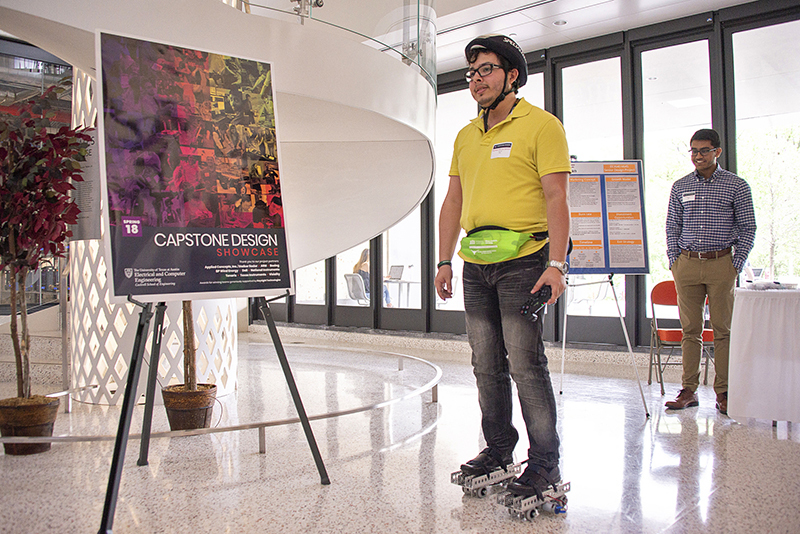 Corporate partners often serve as mentors, judges and facilitators of Texas Engineering student projects — from semesterly capstone design projects in which students are given real-world problems to solve to student-led makeathon competitions. This support encourages more students to immerse themselves in projects early on and helps provide a foundation of hands-on learning and team-based, creative problem-solving. The Cockrell School of Engineering is dedicated to cultivating a diverse and inclusive environment for our students. With corporate support, our diversity programs can help recruit, retain and strengthen the experiences of our underrepresented populations. The Equal Opportunity in Engineering Program increases awareness of engineering, promotes academic success and develops leadership and career-driven programs for underrepresented ethnic minorities. The Women in Engineering Program connects students through recruitment initiatives, support structures and educational services to promote the success and advancement of women in engineering. Today's generation of young engineers are worldly, understanding what it means to be global leaders by broadening their perspectives, knowledge and cultural awareness. Three times as many Texas Engineering students study abroad now as compared to 10 years ago. Corporate support helps the Cockrell School organize more of these global experiences for more students.